Tobacco…Do Kids Understand The Risks? Years of educating kids on the risks of tobacco products are at risk on multiple fronts according to top medical groups in the US which include both smokeless tobacco and e-cigarettes. At the orthodontic office of Lisa P. Howard DDS MS we are concerned that kids today have the misconception that they are harmless when compared to smoking cigarettes. 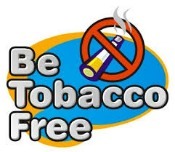 When discussing the dangers of smoking to your health with today’s youth, both parents and the community should step up and go one step further by discussing the dangers of smokeless tobacco and e-cigarettes as an alternative to smoking cigarettes.